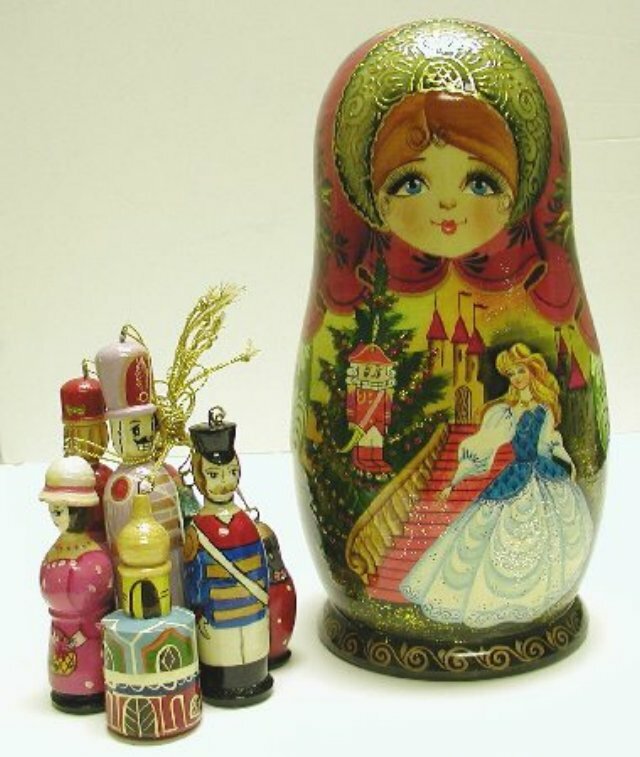 Open this classic Russian folk character and you'll discover a set of eight delightful, hand-carved, wooden ornaments sure to add holiday cheer to your home. Carved and painted entirely by hand. The outer doll, 10" tall; ornaments 2"-6".